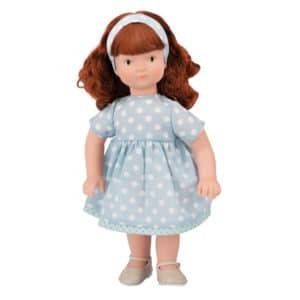 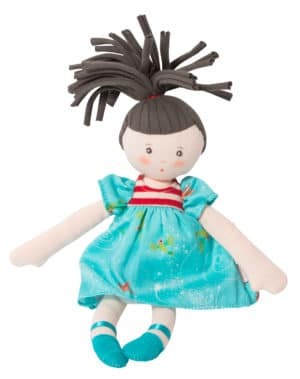 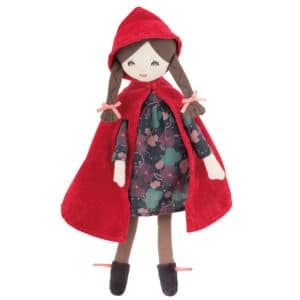 The Ma Poupee raincoat set is suitable for all the 27 cm Ma Poupee dolls. 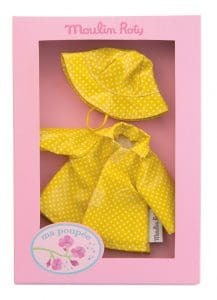 The set includes coat and matching hat in a deep yellow with white spots.The raincoat has velcro fasteners. 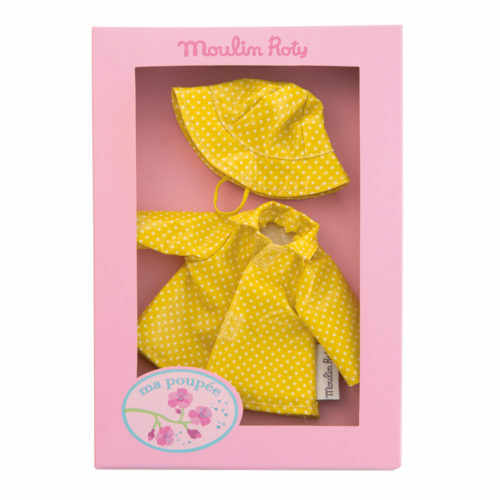 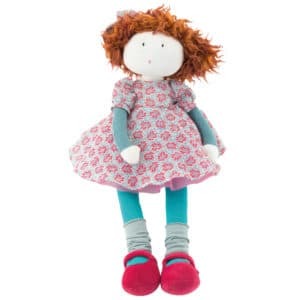 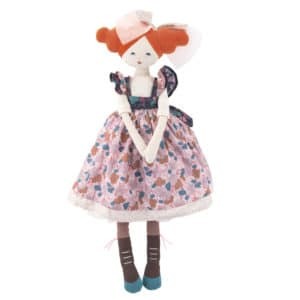 The raincoat set comes presented in a lovely cardboard box, featuring the Ma Poupee motif!